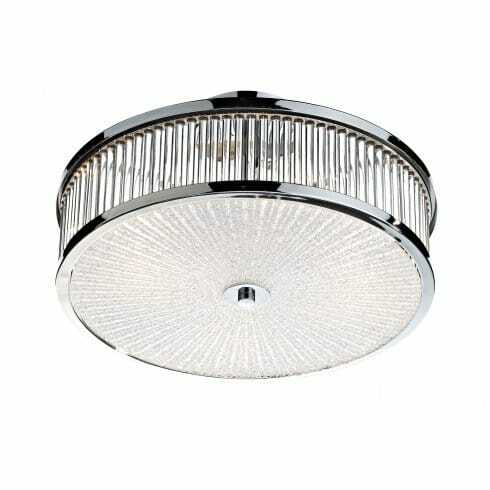 Dar Lighting Aramis 3 light ceiling fixture displays a circular, flush fitting frame with polished chrome trim that compliments the decorative glass rods and patterned diffuser well. The product code for this Dar ceiling fitting is ARA5250. Marrying elegant design with beautiful textures and materials, this item will instantly add a glamorous touch to both modern and classic decors and is ideal for placement in spaces where height can be an issue. For alternative flush and semi-flush designs, please continue to browse through our website.